Save money and hot water when you convert to a tankless water heater. The benefits of a tankless water heater are obvious, and my installer of choice is Abacus Plumbing. Abacus has the experienced plumbers and equipment to fix your problem – from a leaky faucet to a major under-slab or under-driveway issue. Dependability you can count on! 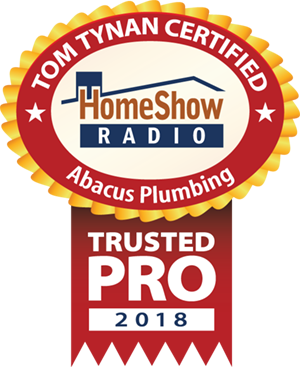 Serving the Greater Houston area, Abacus Plumbing is a trusted HomeShow Pro, certified by HomeShow Radio’s Tom Tynan. How can Abacus Plumbing help you? • Could PEX piping be a long-lasting solution for you? • Tankless water heaters or tank: which is right for you?